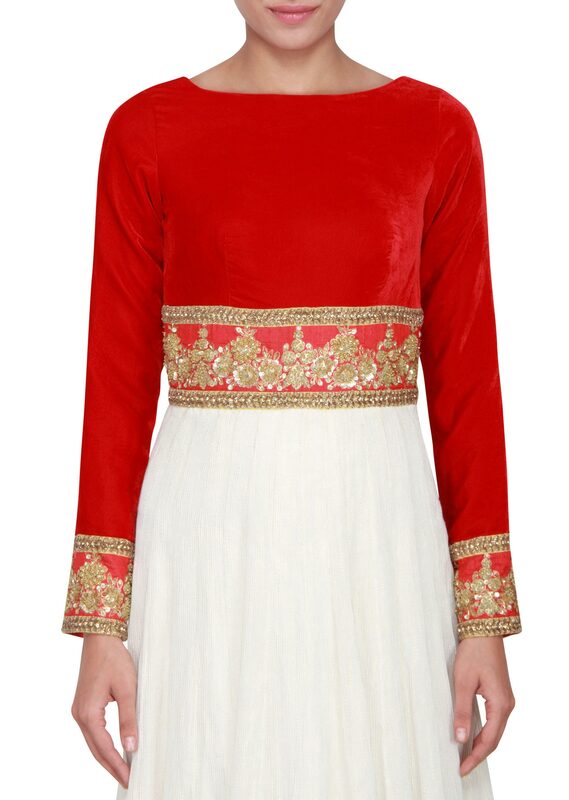 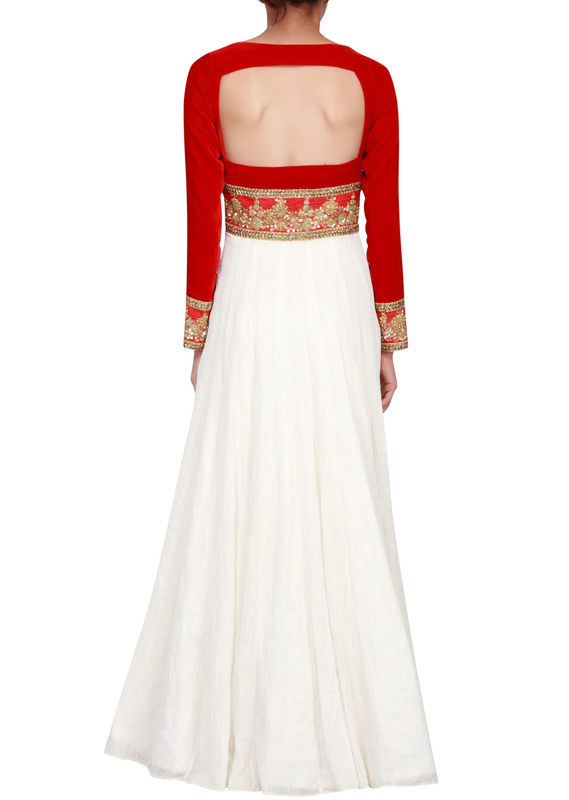 Featuring a gown with red velvet bodice embellished in zardosi. 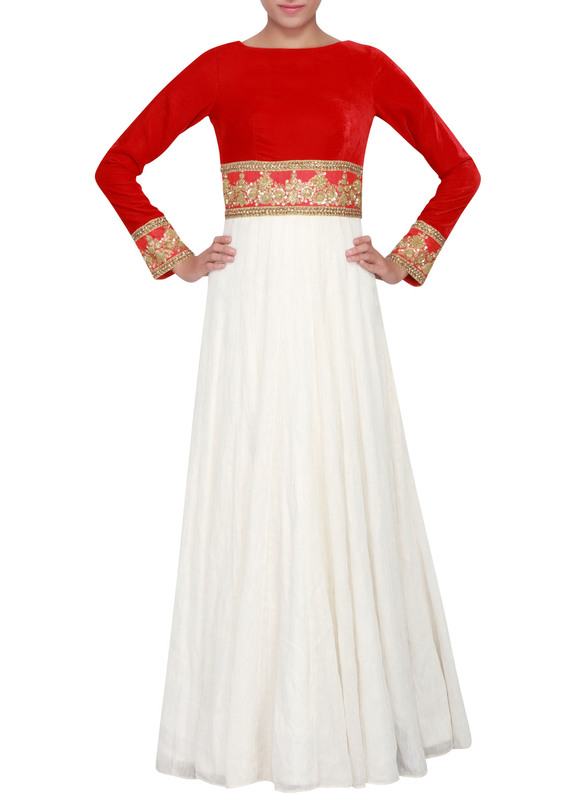 Neckline is boat style and has full sleeves with embellished cuffs. 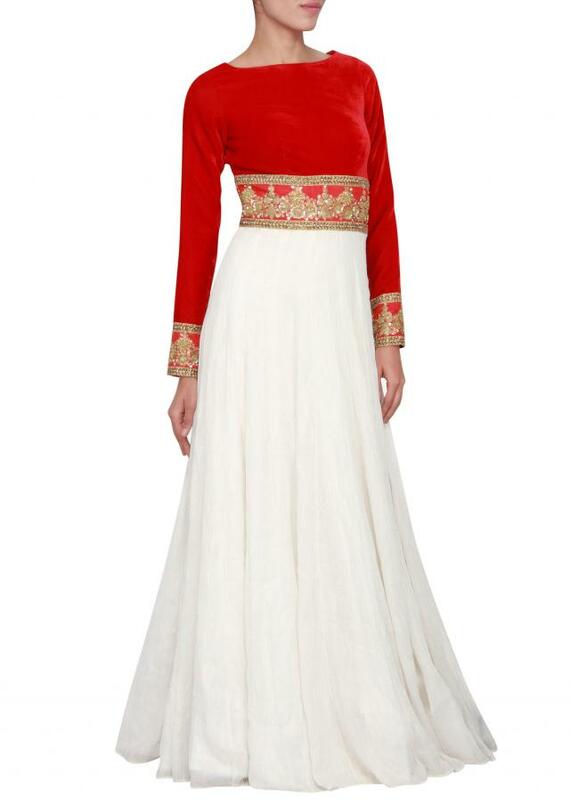 The lower part is in white fancy fabric.